Acute myeloid leukemia is one of the most aggressive cancers. While other cancers have benefitted from new treatments, there has been no encouraging news for most leukemia patients for the past 40 years. Until now. As published in the scientific journal Cell, Dr. Yinon Ben-Neriah and his research team at the Hebrew University of Jerusalem (HU)’s Faculty of Medicine have developed a new biological drug with a cure rate of 50 percent for lab mice with acute leukemia. Leukemia produces a variety (and a high quantity) of proteins that, together, provide leukemic cells with rapid growth and death protection from chemotherapy. To date, most of the biological cancer drugs used to treat leukemia target only individual leukemic cell proteins. However, during “targeted therapy” treatments, leukemic cells quickly activate their other proteins to block the drug. The result is drug-resistant leukemic cells which quickly regrow and renew the disease. The new drug developed by Ben-Neriah and his team functions like a cluster bomb. It attacks several leukemic proteins at once, making it difficult for the leukemia cells to activate other proteins that can evade the therapy. Further, this single molecule drug accomplishes the work of three or four separate drugs, reducing cancer patients need to be exposed to several therapies and to deal with their often unbearable side effects. Additionally promising is the new drug’s ability to eradicate leukemia stem cells. This has long been the big challenge in cancer therapy and one of the main reasons that scientists have been unable to cure acute leukemia. “We were thrilled to see such a dramatic change even after only a single dose of the new drug. Nearly all of the lab mice’s leukemia signs disappeared overnight,” Ben-Neriah said. 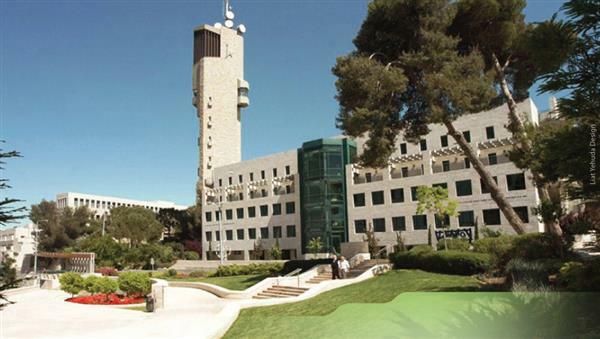 BioTheryX recently bought the rights to this promising drug from Hebrew University’s technology transfer company Yissum. Together with Ben-Neriah’s research team, they are now applying for FDA approval for phase I clinical studies.